January’s not yet over and there could well be snow on the way later on this evening but Gaelic football’s 2019 pre-season is already behind us, along with the rather hastily-abandoned handpass curtailment rule. This coming Saturday evening the real stuff begins once again. For us it’s been a long wait. Ejected from the championship before June had ended last summer, it’ll be just a few days shy of seven months on from that traumatic evening in Newbridge when the lads take the field at MacHale Park to face Roscommon. Once upon a time we used to proclaim that, win or lose over the course of the spring, it was only the League. Nowadays such dissembling is confined to the FBD. While no county ever expresses too much interest in claiming League silverware, every team wants to win every game in the competition, especially in the ultra-competitive top division. It’s been to our great credit that we’ve managed to retain our place in Division One for so long. After the League was reorganised over the course of the 1997/8 season, we took our spot in the top tier (then Division 1B) at the start of the 1998/9 season, which means that this year is the 21st season in a row where we’ve played Division One football. Twenty-one years sure is a mighty long time. But every year we have to battle all over again to retain our place at the League’s top table. This time round we start that journey at home, with a match against Roscommon, whom we’ve played – and beaten – a few times in the League over the last few years but who are making a return to Division One this year. Their absence from the League’s top division last year, combined with the almost Leitrim-like way we’ve avoided each other in Connacht over the last while – our most recent provincial championship meeting with them was way back in 2014, when James Horan was manager first time around and when we squeezed past them by just a single point in Hyde Park – means that you have to go back to 2017 to find our most recent clashes with them. We did, though, play each other on three occasions that year. The first meeting was in the League at MacHale Park in late February when we secured an easy win, a result that briefly saw us rise to the top of Division One. 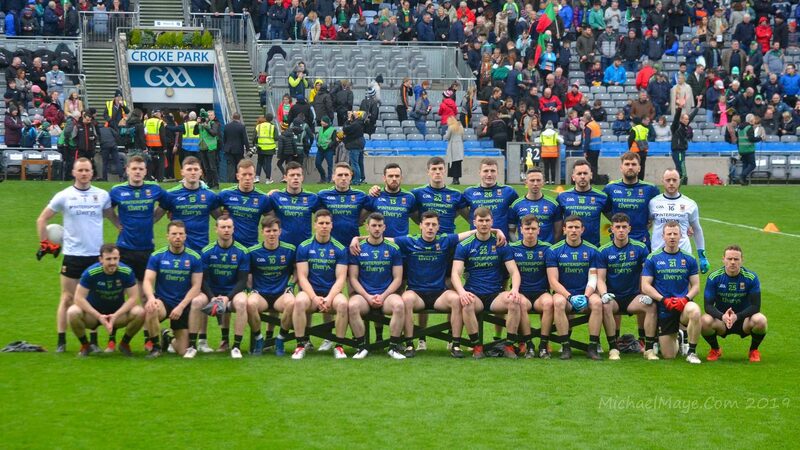 By the time we next met them that year, however, it was in the All-Ireland quarter-final where they were the newly-crowned Connacht champions and we had had to battle our way through to the last eight via the qualifiers. Roscommon’s most recent win over us (aside from pre-season) remains that smash-and-grab 2001 Connacht decider but they came very close to beating us in that novel all-Connacht quarter-final at Croke Park. We had Aidan O’Shea to thank for his perfectly-timed interception late in the game, which snuffed out a great goal-scoring chance for them in a tense contest that ended in a 1-12 to 2-9 draw. Eight days later back at HQ, however, we obliterated them in the replay. We tore into them right from the start that day, eventually trouncing them by a whopping 22 points, on a scoreline of 4-19 to 0-9. Aside from the FBD, we haven’t met them since. Now managed by Anthony Cunningham and fresh from that encouraging FBD final win over Galway yesterday, Roscommon will have no fears about locking horns with us once again. Their manager sees yesterday’s Tuam victory as the ideal platform for Saturday evening’s League opener. It’s too early in the week, of course, to be thinking about team announcements for Saturday. For the two FBD matches we named our starting team – which we then stuck to – on the Friday evening so maybe that’s we’ll be doing over the coming weeks as well. I’ve no idea when they’re likely to name their starting line-up. We do, though, know who the ref is. Derry’s Barry Cassidy has been handed the whistle for this one. It’s been a long time since we’ve had him in charge of a match involving us: from what I can see the most recent game was our League encounter with Donegal back in late February 2016. Right: nothing for it, I guess, but to end with a poll. We haven’t had one of those for a long time either but with the action back on a regular basis the water will need constant testing too. Okay, then, let’s see how the temperature is ahead of Saturday’s League opener under the lights in Castlebar. How will we do against Roscommon? For me Roscommon, above all others, are “must win” games. I always say you can’t beat them often enough or by enough. That’s the result of coming from the borderlands, I suppose. I Would wish for nothing more that a good start to the league, Roscommon and Cavan and an away trip tp Tyrone, we need a couple of wins from these three games as the backend is more difficult. Would like to be going into week four against Dublin and be comfortable enough to try 2-3 younger players to test their metal. The better we do early the more James Horan can experiment later against the likes of Dublin and Kerry. Good article on Chris Barrett in the Western today, he expects to be fit mid league campaign. Within the next month Fionn McDonagh Brian Reape, Mathew Ruane are getting County level experience in the Sigerson Cup which is good for us with games coming thick and fast with weekends and midweek fixtures. Some of our older players are probably only starting training now whereas the third level players have been training and getting competitive games. Looking forward and behind any team that start, there is one or two I would like getting a game but will wait and see. Hard one to call. Too early to say if Cunningham is bringing a different edge to Roscommon, but on the recent run of games would have to say the Rossies are likely to be the victors on Saturday evening unless there is a marked improvement in nearly every position on the field by whatever team Horan names. Really looking forward to what will likely be a tense and physical battle. Roscommon will start (what will be) their championship 15 on Saturday, minus 1/2 players tops. Its imperative we get a win here, as I see us been short a few championship regulars. They’ve won 2 challenge games and are feeling confident. But I feel we’ll see a performance from our lads that will be far more intense than the Galway or Leitrim challenge game. Horan will be all out to lay down a marker here, and with the 2weeks extra training from Tuam, I think we’ll win by 5-8 points. Barry Cassidy is down to ref the game. Wille Joe, will you be setting up the prediction mini league this year??. I will, Mayo Dunphy – it’s on the list to sort this week! I cannot see this being anything other than a tight game, could be a bit feisty, and black or red cards could help decide the outcome. Midfield could be an issue for both sides, Rossies defended well versus Galway but were more open versus Sligo. Will be a good test for new players coming on board, but as has been said already, would be good to start getting results again in McHale park. @MayoDunphy i don’t think Roscommon will because they have about 6 or 7 first choice players out injured at the moment. Really important to start the new season on a positive note. Would be great to see new management team and new players get off the mark in competitive football. And we really do need to turn around this horrendous record at home in Castlebar. Agree with the above .. It will be a difficult game .. Rossies seem to have a lot of fitness work done .Mayo might have a longer term view on their fitness .. But this is a must win game .. Lose and we’re on the back foot . Win and the heads are up . There will be a huge crowd .. Win by point or two and I’d be Happy out.. Really looking forward to it !! MO2019, I think the only players out injured are D Murtagh and maybe Sean Mullooly. Im open to correction here, but alot of last years championship players have pulled out for various reasons.. Ciaran Murtagh, Fintan Cregg, McManus and i think Murray are all gone for 2019. So imo the team you will see on Saturday will be more or less there 2019 championship team. 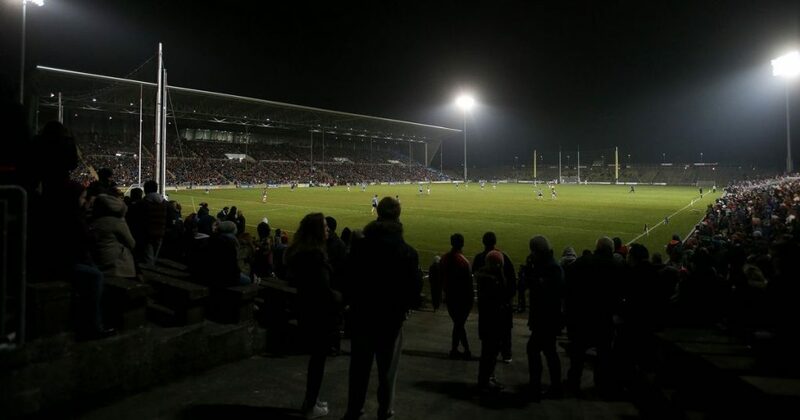 For those panicking about Saturday night, i think the best thing to happen was the Rossies beating Galway, Horan and co will have heeded the warning, and will surely take the game more seriously than if Galway walloped them. So im expecting no complacency from our bucks. A good high intensity performance should see 2 points in the bag. Mayodunphy, Murray is still there and went off injured Sunday along with Killoran. Devaney,Brian Stack and McInerney are others that are out at the moment along with D Murtagh,S Mullooly as you mentioned already. Throw in the young lads and see what they can do. Looking forward to sat evening and all the league has to bring. I agree with that contributors that J. Horan has got something from the FBD. He will pick 3/4 newcomers, probably Plunkett, McDonagh, Diskin & Reape. Will he persevere with Hennelly, looking likely at this point. Midfield is definitely our biggest worry. Will he go with Diarmuid and Seamie, again likely with hopefully Aidan to come for the last 20. He will go with Jason Doc, Andy, Boland and the newbies. The bench should be very strong with regulars such as Barrett, Durcan, AOS and Kevin Mc. Hopefully that will be enough to scrape a long awaited home win. It won’t be pretty though. Agree with most of that Mayomagic but Paddy Durcan has to start looking at his performance in the Sigerson. Also Barrett is a few weeks off fitness according to the Western. Roscommon generally don’t have the biggest midfield so the 2 O’Sheas will have a big role. Play Jason at number 11 to win breaking ball. I know it’s totally off topic but is it possible to buy tickets for mayo v Dublin game in Croke park on Feb 23rd now or when do they go on sale? Myself and the wife are getting a very precious night away from the zoo here!! If Aido is fit he should be starting in the forwards and take advantage of the mark rule. No Rossie defender will cope with him if its good diagonal ball in. 4 points is our top priority out of first 3 games. DOC and Paddy Durcan well capable of holding midfield with plunkeyt slotting in to half back line. Disappointing news from previous poster re Fionn McDonagh, he is definitely capable of making an impact this year. A big performance from Drake would really please me, that full back line is a worry…. Your team TH or the official team? Not my team Mayomagic but I am really happy with that team.I think that’s our best Half back line and the Country, and we have finally a forward line with Height and pace and are all good ball winners!! This team can go on a run for the League and still McLoughlin and Barrett to come back in! !